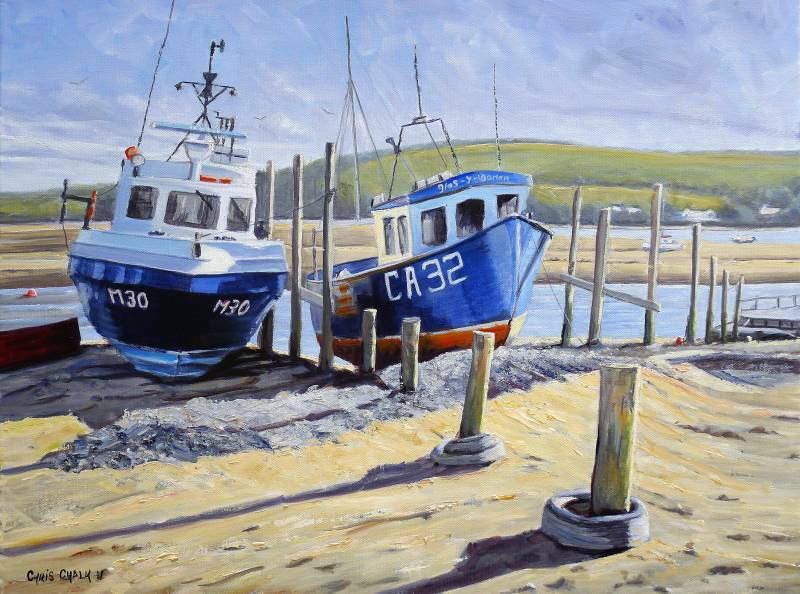 This fishing boat painting with two local boats is a scene near the mouth of the river Teifi opposite Poppit beach, and area known locally as Patch. I was struck by the bright sunlight and the way it bounced off of the boats and sand casting lots of lovely shadows. The Webley Hotel in the distance helped to give a sense of scale too. "Between catches, Patch Cardigan Ceredigion"
Oil on canvas: 24" by 18".